It's been a couple of months now since Pacific Rim came out, which means that enough time has finally passed for me to be able to think about the movie somewhat objectively. When it first came out all I could think was a high-pitched screeching noise and an impression of overwhelming love, so it's nice to get my higher faculties back again. On watching the film again, however, (for the I-stopped-counting-at-fifth time) I began to notice something that before I'd only read snippets about on tumblr. Namely, that Pacific Rim is an ode to the working class hero. 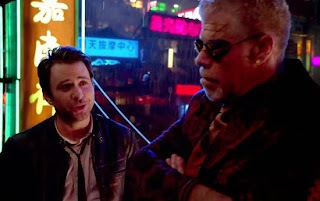 But even more than that, as I kept watching the movie, I realized that Pacific Rim isn't just an ode to the working class, it's an ode to the community of the working class. The proletariat. What I mean to say is, Pacific Rim? It's kind of communist. I mean this is in the sense of Marxist communism, for the record, which is completely different than Soviet or Chinese communism. Marxist communism is all about the power and importance of the working class, and the way that if we aren't very, very careful, in a capitalist society the working class will be squashed down until they are nothing and society will crumble around them. How does that relate to Pacific Rim? Well, let me tell you a thing. So, if you don't recall what the film is about, check out our general review of it right here, because I'm not going to recap it. We have too much to cover! I want to start out by talking about the main characters in the film, and how they are, for the most part, openly identified as working or middle class. For starters, the clear protagonist (though not the character with the most resonating arc) is Raleigh Becket, a scrapper from somewhere in America whose one claim to fame along with his brother Yancy is that he was great at fighting. Now, I point this out for a couple of reasons. First, when Raleigh explains how he and his brother were recruited for the Jaeger program, he doesn't say that they were scouted. He says "but we could hold our own in a fight." This is important phrasing. When Raleigh says this he first of all implies that he and Yancy were in a lot of fights, then he says that they could "hold our own". Holding your own isn't the same as dominating your opponent. It doesn't imply that you've got a lot of training, that you really know what you're doing. It mostly suggests that you kind of hit until the problem goes away. It means you're scrappy. And scrappy rarely means financially well off. I mean, there's a lot more evidence of Raleigh's background than just this. I believe the novel informs us that Raleigh and Yancy were Army brats, which explains how he knows Japanese, and we are led to understand that Raleigh's parents have both passed away. Which would explain why, instead of going home when he quit the Jaeger program, he ended up working on the anti-Kaiju wall. It's not the kind of thing someone with resources would fall back on, at least not without comment. And then there's the simple matter of how few belongings he has, the way he walks, and his general demeanor. I mean, I feel a little bit like I'm belaboring the point. Did anyone actually look at Raleigh Becket and think, "Yeah. I bet this guy grew up in a mansion." I certainly hope no one did. 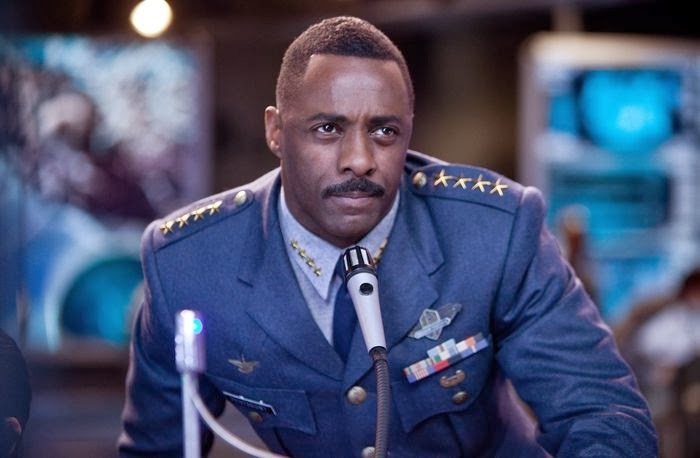 You also have Marshal Stacker Pentecost in here, played by Idris Elba who is using his own South London accent for the role. He's not a random actor so we can assume this is intentional. Pentecost, who one can guess grew up in London and enlisted at a young age, was one of the first Jaeger Rangers, which means he was already in the military when the attacks started, and since he's not that old, he must have enlisted young. As Pentecost ends up raising Mako Mori, we can assume that whatever her background prior to the Kaiju attacks, after them she was raised on military installations and in Shatterdomes. Also raised in the Shatterdome? Chuck Hansen, whose father, Herc, was another of the first Jaeger pilots. 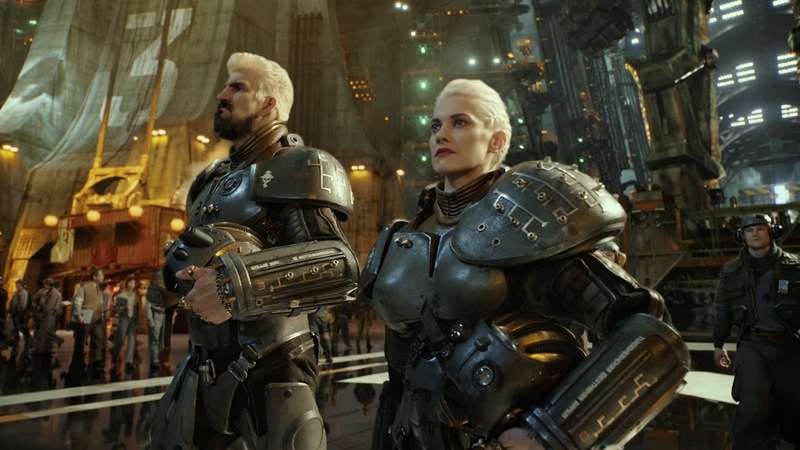 In fact, going through the main characters of the film, the only ones who are not indicated to have a working class background are the scientists, Gottlieb and Geiszler. And, this is where things get interesting. So the point of Pacific Rim, besides that it is really fun to shoot monsters with giant robots, is that heroism is a team effort. We do it together or not at all. Instead of it being a film about a lone, heroic protagonist succeeding against insurmountable odds, the film is about a group of people, some nice, some not, who all band together and put aside their differences to save the world. Even the Jaegers themselves cannot be piloted by one person, so there is no room for lone wolf heroics. Everything must be done together. 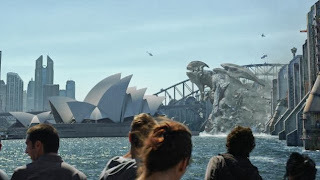 The villains of the film, aside from the attacking Kaiju, are the rich and powerful world leaders who refuse to keep funding the Jaeger program. Instead, they prefer to build a containment wall and hide inland. The film even makes note of this, having a reporter in a news broadcast ask about allegations that the shelters inland are only for the rich and powerful, while the poor and underclasses keep getting pushed further toward the coast. It is worth noting as well that in the scenes we see of Hong Kong, we never see affluence. The skyscrapers are abandoned. The city lives on the ground, in the black market, in the places where nice decent people don't go, because the nice decent people have gone. The film makes such a point of the importance of acting together that it even goes so far as to punish characters who strike out on their own. Stacker and Raleigh both received severe injuries from piloting a Jaeger on their own, though neither did so by choice, and when Dr. Geiszler (Newt) drifts with a Kaiju by himself, he receives not only neurological damage but finds himself in dangerous situations without backup. It's only when he drifts with the Kaiju and with Dr. Gottlieb that his heroism is rewarded. And that's really the whole thing here. 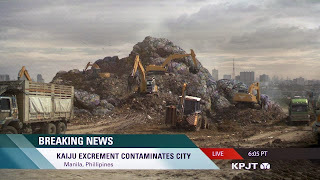 The bad guys are the capitalists, industrialists and politicians who seek to make a profit off of the whole Kaiju thing or who want to bury their heads in the sand and forget it ever happened. Our heroes are the working class men and women who live in a communal society (Did you see any money in the Shatterdome? Because I didn't.) where each gives according to his skills and receives according to his needs. Everyone there has a mission, a purpose. And everyone there, whether they like it or not, is clear that they are in this together. Even Chuck, who the film gives us as a human villain for the first half, objects to Mako and Raleigh's partnership not because he wants all the glory for himself, but because he genuinely feels that the two of them cannot work together, and that without their complete unity, the mission will fail. I mean, Chuck is a jerk, but his objections are spot on. There's a strong emphasis in the film on the fact that heroism is closely linked to empathy. In order to be a true hero in this world, you must be highly empathetic. In a world where businessmen are constantly talking about being objective and needing to not feel bad for the people they fire, where callous business sense is touted as good policy, the idea that we can only achieve greatness if we truly love each other and trust each other, well that's just hippie commie talk. Which is the point. Pacific Rim isn't just your average action movie. It's not about any one hero saving the day. It's about all of us rising up against the tide of oppression, be it corrupt politicians or giant space monsters, and fighting back together. Because only together can we save the world. And also I want an entire movie about these two. Please.